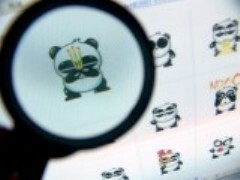 Li Jun (李俊) was interviewed by official press, said, Panda Virus software was sold to 120 people. But so far only six have been detained. The six suspects who bought the software is still rewriting the code and the most famous of which holds three joss sticks in his paws. The software claimed to be able to deleting files, damaging programs, attacking web portal and stealing online account names which infected over a million PCs in the country. Shanghai Service Center of PC anti-virus expert said, panda prayer virus sold to the buyer to further create sub-species virus, especially to those computer savvy person who can relatively easy to analyze program code and create sub-species virus. As such, hacking and virtual property theft are on the rise. To counter it, here is the panda antivirus software download link. This entry was posted on Friday, February 29th, 2008 at 2:45 pm	and is filed under Interesting Stuff. You can leave a response, or trackback from your own site.